Click the graphic to take a tour of Arizona's four microdistilleries. • They can sell their products directly to consumers. 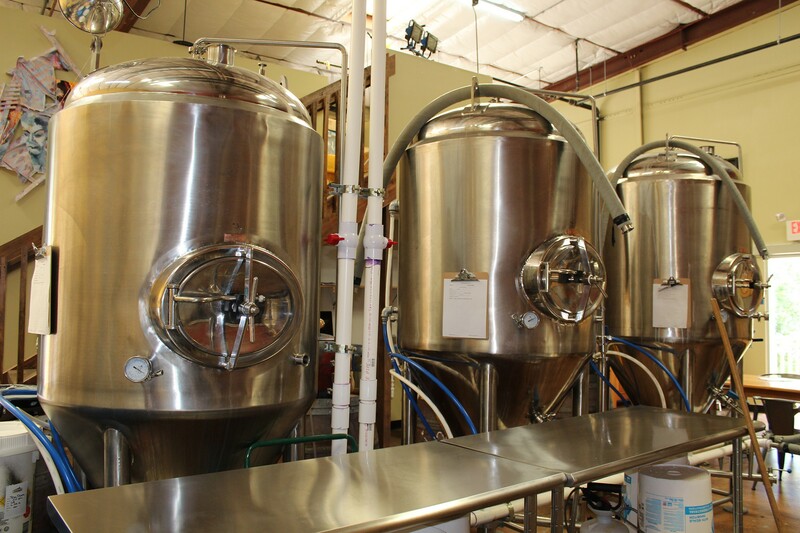 • They can self-distribute up to 1,189 gallons of spirits distilled on the premises per year. • They can have remote tasting rooms. • They can participate in festivals and sample products there. • They cannot produce more than 20,000 gallons of spirits per year. 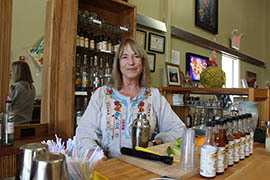 PRESCOTT – Behind the counter of her tasting room at Thumb Butte Distillery, Dana Murdock slices and crushes fresh cucumbers, oranges and limes. She shakes the citrus medley with a bit of the house distilled Meyer Lemon Vodka and pours the aromatic, yellow creation over ice. When Thumb Butte’s tasting room opened in May, Murdock would have only been able to let her customers sample the contents of the glass in front of her. If someone wanted to buy a bottle of the spirit, she had to direct them to two liquor stores a couple miles away that sell her product. 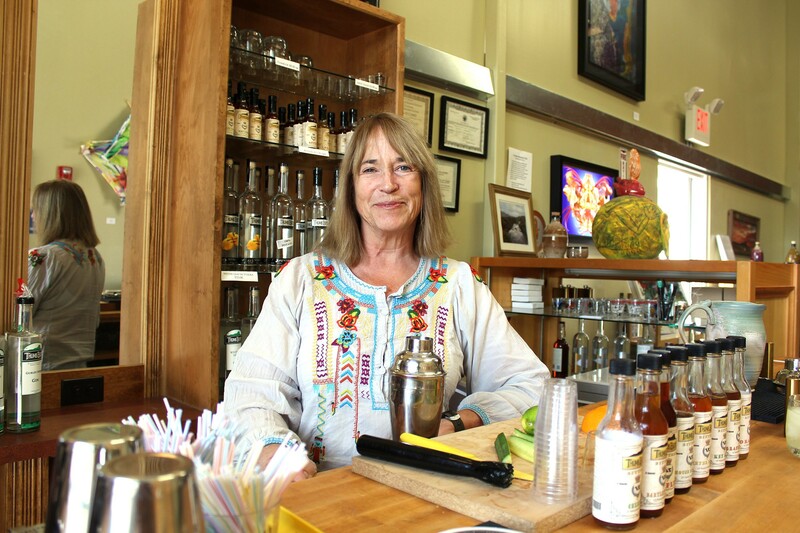 But now Murdock and her partners at Thumb Butte are able to sell their varieties of whiskey, gin, vodka and rum directly to customers, stores and bars without the need for a middleman thanks to a new state law applying to microdistilleries. “It’s a great feeling to be able to sell a bottle of our own product,” Murdock said. 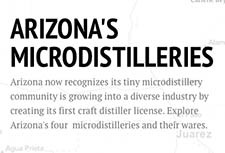 Arizona has four microdistilleries, a list that also includes Hamilton Distillers in Tucson, Arizona Distilling Co. in Tempe and Desert Diamond Distillery in Kingman. Before the law went into effect in late July, the state didn’t recognize microdistilleries as an industry. They instead had to operate under broader licenses created for microbreweries and wineries that allowed them to only produce spirits and sell them through distributors. A new craft distiller license gives microdistilleries the freedom to reach customers in ways they couldn’t before. In addition to selling directly to the public, microdistilleries can now have offsite tasting rooms as well as participation privileges at fairs and festivals where people can sample their products. 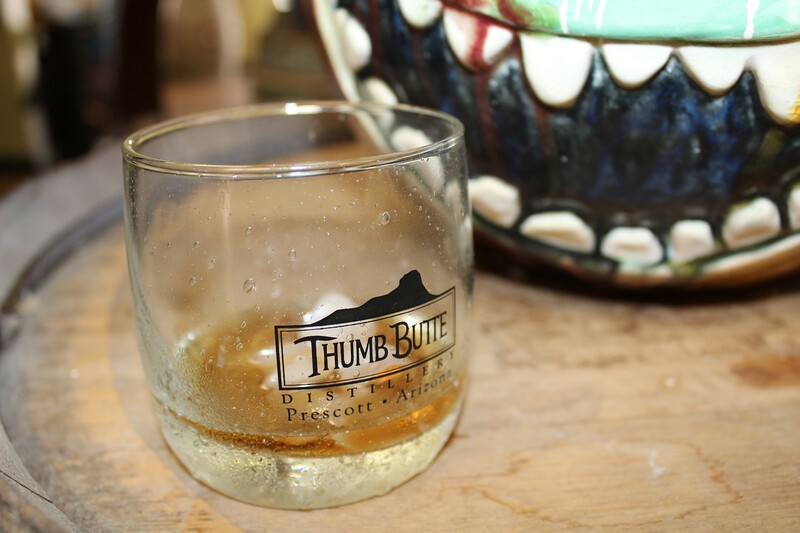 Thumb Butte Distillery has already taken advantage of the latter by showcasing at the Prescott Crush fundraising event alongside Verde Valley wineries. And Murdock said if Thumb Butte finds the right place, it will open another tasting room. Not all the distilleries are jumping on board the new license just yet, however. Tempe’s Arizona Distilling Co. led the push for the change but ultimately chose not to use it because it created a 20,000 gallon-per-year production cap. Co-owner Jon Eagan said the cap could hinder plans for growth, as the company anticipates expanding its line of whiskeys, gins and agave spirits across the state. “We don’t want to be pigeonholed there,” he said, noting that his microdistillery is nowhere near the cap at present. Based on their needs, microdistilleries that receive the new license are allowed to switch back to the old one, which has no cap on production. For Stephen Paul, owner of Tucson’s Hamilton Distillers, which just applied for the new license, the cap isn’t an issue at present because his microdistillery isn’t anywhere near it. His business is ready to expand, however. 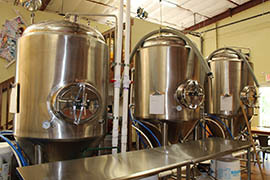 He’s in the process of moving production to a 500-gallon distillery system in another location in Tucson. The industry could see growth soon. Lee Hill, communications and special projects director for the Arizona Department of Liquor Licenses and Control, said there are several applications for the new license being processed right now. For now, Dana Murdock said the new license is serving Thumb Butte Distillery just fine and that her company is looking forward to introducing new customers to products such as its herb-infused Western Sage Gin. “We’re selling a lot of bottles … we’re in more liquor stores and more bars and restaurants, and we’re trying to expand as best as we can,” she said. Cronkite News reporter Yahaira Jacquez shows us how different distilleries around Arizona are adjusting to a new law. 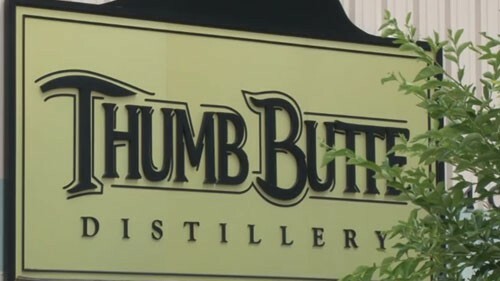 Thanks to a new Arizona law, Dana Murdock can now sell spirits directly to customers in the tasting room of Thumb Butte Thumb Butte Distillery in Prescott. 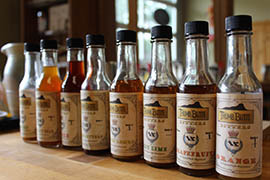 Thumb Butte Distillery recently debuted a line of flavored bitters that complement mixed drinks. Thumb Butte Distillery crafts gin, whiskey, vodka and rum. 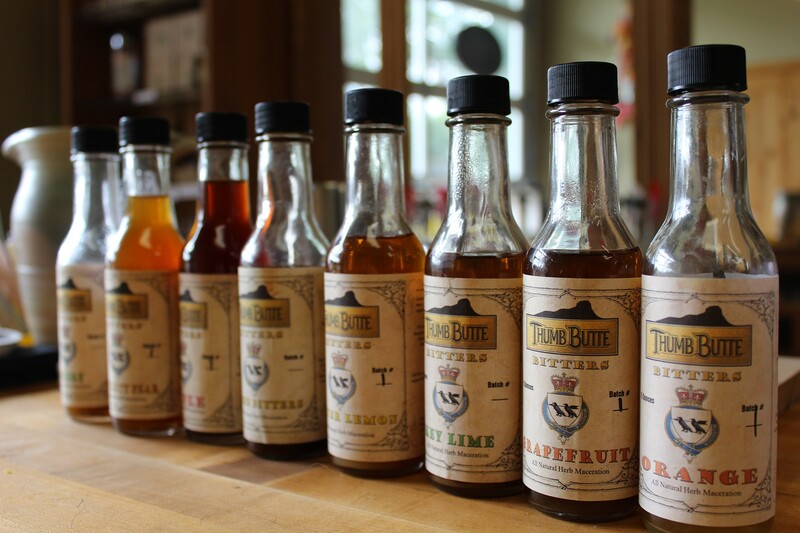 Thumb Butte Distillery creates small batches of spirits alongside its tasting room.